"What my clients are saying about me"
"Kathleen has all the qualities realtors strive to have. She is definitely on top of her game. If you are looking to buy or sell a home or looking to invest GO WITH MONROE!" I would highly recommend Kathleen Monroe with Keller Williams as your personal Real Estate Agent whether you are buying or selling your Home. My husband and I are detail oriented, can be micromanagers (at times), impatient (as we needed to find a home quickly) and were first time home sellers at the same time. Kathleen far exceeded and delivered above and beyond our expectations. She not only sold our home in a very short time frame, but was there through every step of the way. Kathleen is extremely knowledgeable and did her homework in analyzing the specific area my husband and I wanted to buy our next home in. She researched and showed us comparisons on the pricing, including both the history of the pricing in the neighborhood we wanted to buy in as well as the long term projections using the history of the comparisons in the neighborhood. Because we sold our home in such a short time frame, and had not found our “dream home” yet,Kathleen found us a short term rental home. While in the rental home, Kathleen found us a home to purchase. At the time we were looking inventory was very low in the neighborhood we were looking at, and there was another interested party in the home we wanted to purchase. Kathleen pulled out all the stops, even going so far as to write a “biography” on our family to submit to the sellers of the house we wanted. This combined with Kathleen’s keen sense of negotiation, her attention to detail and the personal touch she lends to each client and transaction, we purchased our “dream” home! I think Kathleen is an outstanding Real Estate agent also because of her ability to relate to individuals she works with. My husband and I have opposite personalities…I am more of an emotional sale and my husband is very fact, value and reality based. Kathleen was able to cater to both of our wants and needs in the home purchase. Kathleen was very prompt in returning phone calls, texts and emails. She was there for us each time we wanted to meet in person. Kathleen scoured the neighborhood we were looking in, and because we limited ourselves to a small area, even sent postcards out to the streets in our zip code we liked looking to see if those homeowners might entertain selling their home. All of this in the time frame of 4 months. If you choose Kathleen as your agent, she will give you 100% and more. She uses the term, “no stone will be left unturned” which is a perfect analogy for Kathleen! Kathleen Monroe is an exceptional realtor! She helped me purchase a home upon relocating to Orange County and subsequently sell the home when I was getting divorced. During an extremely stressful time for my family, Kathleen was a calming presence and a voice of reason. She did a fantastic job of staging our home and running interference for us with the buyers. She SOLD our home within ONE month when other realtors were quoting six months. She protected my interests in the divorce and I came to trust her insight and advice. Kathleen is a great realtor,counselor and advisor! I highly recommend her! "Kathleen is by far the most professional, efficient, reliable real estate agent in the business. She is extremely knowledgeable about the market, conditions and the best value for the client. Kathleen is loyal, hardworking and makes her customers feel like they're her top priority. It is hard to find such dedicated professionals in today's market, one who stays on top of the industry changes and how they affect her customers. You can always depend on Kathleen to get the job done professionally, timely and with a smile on her face!" I am writing to express my pleasure with Real Estate Agent Kathleen Monroe, who represented me in the Short Sale of my property located at 23842 Via El Rocio in Mission Viejo, California. Kathleen Monroe guided me through the entire process of the short sale! She went the extra mile and worked diligently in receiving offers, showing my home to prospective buyers, and closing the deal! I credit Kathleen Monroe with a smooth, stress free home selling experience! This is the second real estate transaction with Kathleen Monroe, and never had I had such a pleasurable experience. Kathleen Monroe is savvy, personable and knows the market inside and out! I could never had gotten through the short sale process without her expertise! To reiterate, I am nothing but pleased with Kathleen Monroe and her expertise and I recommend her to everyone! She is by far, the best realtor in Orange County! "Kathleen excels in this competitive market with high integrity,ethics and a go to attitude. Nothing stands in her way, her grace, composure under pressure, her warm smile and dedication made selling and buying a home a pleasure. She goes above and beyond to reach your goals. I would recommend Kathleen any day of the week". "You won't find someone more dedicated to her family, friends and clients. She is always cheerful, funny and will brighten any situation. She has excellent negotiation & marketing skills and is a always driving a win, win for her everyone. She doesn't just have clients she has friends for life." Victorious DAY! You've all been following my Landlord/Tenant issue. I won the small claims back in Nov, he appealed it (he's a lawyer) and my lawyer just walked away with a check in his hand! Thx Aunt Jenn for your referral and support, Thanks Marcia 4 a nights stay, and Thanks to Kathleen Monroe my Real Estate Agent, Friend, Consultant and Advisor! Need a good real estate Attorney or Real Estate agent, call me! I want express my heartfelt thanks to you for your exceptional service in the sale of my home in Las Flores. Your experience and knowledge shined through every step of the way. Right after I interviewed you I knew that I had the made the right decision, not only because we shared so much in common but because you took a personal interest in making sure things went very smoothly during a very difficult time for me and my children. The process of selling a home is never easy, especially in a declining market. Your outstanding negotiating skills helped me to get top dollar for my home. You always took the extra step to ensure every detail was taken care of. Your high level of professionalism is unmatched by any other realtor. You kept me informed every step of the way. You always made me feel reassured with every decision and kept me smiling with your wonderful sense of humor. I truly appreciate all you have done for me to help me sell my home and to purchase my new place. I will highly recommend you to all my friends, family and colleagues. Most of all, thank you for kindness and a new friendship that will continue long after the close of escrow. If you are looking for a realtor, Kathleen Monroe is quite simply the best in the business. Her knowledge of the market, years of experience, and strategic thinking make her stand out among her peers. For her clients that means quick sales and good prices. We had planned to have Kathleen represent us as buyers. We looked in the Las Flores/ Ladera Ranch area for a few years for just the right home, but before we found it, my husband was offered a great job in Northern California. We quickly fell in love with a house up north, so we needed to sell quickly in order to afford it. Kathleen sold our house in less than a week, at a price that was higher than we had hoped for. She also came up with the strategy for making an offer on the home we wanted to buy, which stood out against multiple bidders. I am certain we would not be in our new, wonderful home were it not for her sound counsel and out-of-the-box thinking. Even after the sale of our home, when we ran into problems packing for the move, Kathleen was there with a solution. She is organized, energetic, and ready for any curveballs that come her way. We just loved working with her! We cannot recommend her highly enough! We really appreciate all that you've done for us. In my experience it is quite rare to find people to help you that are fully competent and actually make you feel like they are doing their best for you. I was retiring from the SAPD and had a very specific deadline for selling our home. Because we did not have air conditioning we knew we needed to sell within a month or wait until the winter, in which case I would need to get a post-retirement job. Kathleen Monroe took our short time deadline and bottom line on profit to heart and set to work. She accentuated all of our house’s positives while being honest about the lacking AC. My wife and I found her to be honest, intuitive, resourceful, thick skinned and hard working. Kathleen sold our house and we closed escrow on the exact date of my retirement, making above our bottom line. I have recommended Kathleen Monroe to my friends and co-workers. In fact it was a satisfied co-worker who recommended Kathleen to me. It had been many years since I resided in California so that when I returned 20 years later, it was not the Orange County I left so we needed help. My husband and I were moving from Florida to California and had approximately 6 weeks to locate a rental in Orange County. I was referred to Kathleen by a friend. Kathleen got to work on locating a suitable rental and despite my moments of sheer panic as the move date loomed and few properties were available, Kathleen was a calming force, magically, I am convinced, locating properties that would work for us. Once the lease was signed, Kathleen did not stop delivering service. Prior to our move, she made sure we had all the information we needed, e.g., utility hook-ups, for a smooth transition and was at the house on our arrival from the airport, greeting us with champagne. A year later, we were ready to buy a home. We called Kathleen and she went to work finding us the perfect home and negotiating one heck of a deal, to boot. We have dealt with many real estate agents in the past and I can say that Kathleen, without exception, is a true real estate professional. In addition to immense knowledge of the Orange County real estate market, Kathleen is also an exceptional and no-nonsense negotiator. Nothing gets past her! How do you decide on a Real Estate Agent? Kathleen brings years of knowledge and strategies with her as she represents youin the sale of your most valued investment. Kathleen evaluated our home, the current market and the available inventory currently on the market and advised us what her projected target price was. That price was well above what we estimated our sales price would be. I initially had doubts that she would be able to accomplish her target price but realized that anything we received above our estimated price was a bonus. Kathleen and her team of professionals hadanswers to allof my questions and/or problems that arose during this transaction. Her team consists of reasonable Contractors, Landscapers, Painters and so on who are just a phone call away for any repairs or odd jobs that may need to be done. These professionals are knowledgeable, dependable and reasonably priced. I was comfortable knowingcompetent tradesmen were doing all of the home repairs both before the property listed, and on issues that came up during the home inspection. Kathleen is aware that this is a very stressful period in your life and the one thing that was most comforting to me was, she answers her phone when you call or returns your call in a short time. Shewas always upbeat and cheerfulwhen we spoke and never stressed which gave me confidence knowing she was protecting us during our transaction. Kathleen knows what sells homes and why some homes sell over others. She is constantly evaluating the market, suggesting tactics and advising of future strategies. The bottom line is with Kathleen’s determination we ultimately succeeded in selling our house for well over our initial conceived value. Kathleen paid for herself in the extra value she marketed our house for, and in my opinion she earned every penny of it. You found my "perfect" home! I've recently had the pleasure of working with Kathleen Monroe as my realtor for the sale of my home and the purchase of another. Kathleen worked very hard to not only obtain the absolute highest selling price for my home but also worked very hard to find the "perfect" home for me. A few times I was very discouraged and Kathleen soldered on and never swayed in her search and always had a positive attitude. Not only did she stage for free and sell my house for top dollar, she then found the perfect house for me for a great price. She was there through the entire escrow process and she also made sure I had the best new home insurance policy. She also shrewdly negotiated with the seller for a couple additional items that were in my best interest. She did everything possible to insure the new home transaction was smooth. You won’t find a better realtor than Kathleen Monroe. If anyone would like to talk to me re Ms. Monroe's superior skills, please don't hesitate to contact me. time to listen to our family’s specific needs. She knew that we did not want to leave our home but had to sell it because of our family situation. She knew we wanted to stay in close proximity of our children’s schools when we had to relocate. Kathleen did not rush us or make us feel like we had to sign with her. She gave us information and met with us to discuss all of our options. She always wanted to make sure our best interests were in the front of any step in the process. home to rent in our same neighborhood within our price range. Kathleen gives the personal touch to a sensitive and stressful time. You are Truly a Blessing! Thank you for all you have done for our family. We are loving our new house and are so grateful for your hard work and dedication. You are truly a blessing. Kathleen was our agent to buy our current home, and when we met with her to discuss our current needs, we knew she was, once again, the right agent. We couldn't have asked for a better agent to work with us on our real estate needs. In this market, we needed to sell our current home before we could put an offer on a new house. Her staging was amazing, and we had so many great compliments on our home. After several offers, we had a buyer that allowed us to rent back. Once we sold our house, we were nervous about ever finding something that met our wants and needs. She took us to many homes to help us identify THE perfect house for our family. She was patient and encouraging, as we wondered if we would find something with such low inventory. In a competitive market, her experience was key to us being the "winning" buyer. Kathleen exemplifies professionalism. She was a partner during the process and truly made our experience of selling and buying a seamless process. Thank you, Kathleen, for being a part of our dreams. Finding Kathleen was like discovering a treasure - she is not only an expert in her field, she is an amazing person. She sold our home in the midst of our divorce, and she managed all of the drama with grace, compassion and a firm hand when we needed it. On top of that, she sold our home for $20K over the comps and set a record in our neighborhood. I am beyond grateful for Kathleen's kindness and expertise. Do not hesitate to work with her for a second. Our original real estate agent was unavailable to help us purchase a home, Kathleen stepped in as dual agent and treated us like family. She was there to answer any and all questions throughout the negotiations and escrow. Even after we closed, she is there for us 100%. Great experience and will always have her as a family friend. Thanks Kathleen! Whether you are buying or selling a house in Southern CA, you cannot do better than working with Kathleen, and we worked with two different agents in two different areas before we were lucky enough to meet her. It took us two years of flying back and forth from NY to find our first house, and Kathleen never rushed us in any way, and went far out of her way to help us by going to properties that appealed to us on the Internet. Same when we started the search for our second. And when it was time to sell one, she told us in advance everything that she wanted to happen and how she was going to make it happen, and she did everything according to her plan, including "babysitting" a nervous wreck. Not only that, but she has been there with advice on our latest purchase (in another state) and with the sale of our Brooklyn home. You get a real estate agent, a protector, and most importantly, a friend. Kathleen Monroe did an incredible job of selling our vacation home in Coronado! We originally listed our home for 6 months with a different realtor, who worked in and knew the area. After 6 months, with no luck, we decided to change realtors and were recommended by a friend to seek out Kathleen. Kathleen sold the house for a cash offer in 2 weeks for more than what we were listing it for. We had some issues that needed to be dealt with and she took care of them for us as we lived out of state. We found Kathleen to be very honest and upfront with us during this process and thus, we highly recommend Kathleen Monroe for anyone looking to buy or sell their home. We chose Kathleen as she had the best sales strategy to capture as much of the market as possible. This totally worked and we had an offer within a week of listing, plus two backup offers. Kathleen was so incredibly helpful with any little hiccups and sorted things out to make the house perfect for the market. She has great contacts from carpet cleaners to roof experts, we trusted her and felt we could leave it totally in her hands, which was so important as we live overseas. We only met Kathleen 2 times but feel like she will always be a friend. Kathleen Monroe provided us the most amazing experience in helping to sell my mom's house in Dana Point, CA. We are in a different state and Country and she was there for us through the whole time. Kathleen found house cleaners, handyman and carpet cleaners she was there for us the whole time. If you need anybody in the Southern California Dana Point area Kathleen is the best realtor to use. We had our first offer within 20 hours of it being listed and accepted within 5 days, the house is closed escrow within 6 weeks. Her knowledge of the area, the market and working with the buyers also was out of this world. Kathleen is by far the best real estate professional I’ve ever worked with. She is smart as a whip, kind and will get you top dollar for your home. Her decorating advice and free staging are extra bonuses!! I 100% recommend Kathleen to anyone who wants to sell their home for top dollar and maximize its value. She was easy to contact, very responsive, and helped walk us through the entire selling process. Kathleen has the experience, knowledge and integrity to follow through on selling your home fast. It was easy and problem free. With all the realtors out there it can get confusing choosing one. Kathleen is a miracle worker. I highly recommend her. Kathleen is beyond professional! We approached her to sell our home 4 years ago. She staged our home and had amazing photos taken. Right before it was ready to list, we backed out because the current inventory was not what we were looking for. She was so supportive and amazing with that decision despite all her hard work. More recently, we decided to put our home on the market again with the goal of a quick sale. She was again amazingly efficient with the staging, incredible photos, aerial shots and assistance with getting needed repairs done. Needless to say, our home sold in record time at a record price. This was all due to her skills as a realtor!! She knows the market, she knows the property and she makes sure she knows the potential buyers and what they are looking for. Her diligence and hard work was amazing, she went the extra mile to make it the best potential outcome. I would recommend her over and over. She is professional, hard working and definitely the realtor you want on your side. I cannot say enough good about Kathleen!! When we decided to sell our home we were looking for an agent who was knowledgeable with our area. When we met with Kathleen she provided us with current listings, recent sales and a very well developed marketing plan. Kathleen provided us with excellent ideas for staging our home...which we followed and received nothing but compliments from potential buyers. Kathleen brought in professional photographers who put together a remarkable portfolio of photographs that included aerial views of our home. We feel Kathleen's attention to detail, knowledge of our area and marking plan is what sold our home in a matter of few days. Kathleen is the very best; deserves 10 stars instead of just 5. She has helped me buy and sell homes, under some difficult circumstances, but every time she helped me navigate the process and come to a successful conclusion. She knows so much about the process and the neighborhood, and she remains available for questions even after the sale is closed. No need to look further for a realtor - Kathleen is awesome!! She treats all of her clients like friends and when they finish the real estate transactions with her, they become lifelong friends. Kathleen goes the extra mile and gets full satisfaction from all of her clients. Her goal all of her life was to be the best in everything. The many real estate awards that she has received attests to that. Kathleen is the absolute best in Orange County. Her knowledge of the business is second to none and her negotiation skills are excellent. You would have to be out of your mind to use anyone else. 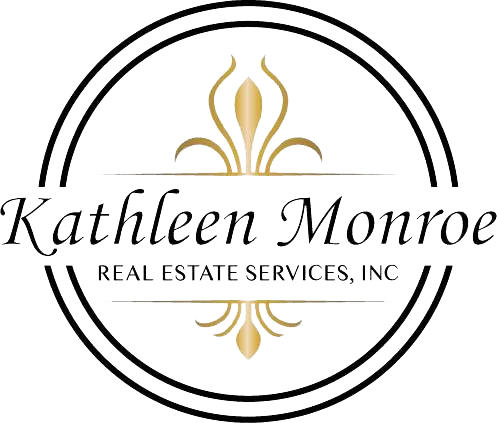 I would highly recommend the services of Kathleen Monroe for all of your real estate needs. This was the second time Kathleen helped us with our realtor needs. Both times she really made the extra effort to personalize her service to help make the process as easy as possible for us. Thank you, Kathleen! I have worked with Kathleen Monroe on both the 'buyer' side and then later we were on the 'seller' side of the property we purchased with her 8 yrs prior. I can say without hesitation that Kathleen is very professional, but has a personal interest in her clients satisfaction. She always puts the interest of the clients first. She has industry expertise, both with real estate items, but also other items related to the complete process, Escrow, Appraisal, Inspections, Closings. I highly recommend Kathleen for any or your Southern California property needs. Kathleen Monroe is a true professional. When I bought my home there were some issues on my end and I was afraid I wont be able to get my home. Kathleen assured me that nothing was going to stop us from getting what we want, and she was true to her word. She was always a phone call away and never to busy to handle anything that came my way. She was absolutely a pleasure to work with and very smart in the real estate world. I have recommended Kathleen to other people and they felt the exact same way I do. Kathleen Monroe truly excels at her job as a realtor! In addition to the vast knowledge and skills, she also has the people skills, the personality, and the warmth that she brings to the house search and buying process. Kathleen not only assisted with selling my house, she also helped with purchasing my new house – she completely met my expectations in every way possible! She conducts her business in a very professional manner and utilizes her expert skills and information to get the job done. Kathleen has very strong work ethics and lives by these ethics on a daily basis. She does not believe in “dead ends”!!! Kathleen will ALWAYS come up with a solution for every obstacles and always has a plan B, C and D, etc. Having Kathleen on my side and having her support helped me tremendously with my process. Kathleen is extremely respectful to her clients’ needs and time and she also resonates this respect to her colleagues in the business as well. In my opinion, Kathleen should be a role model for many agents in the business. She is truly one of kind and it has been an absolute pleasure working with Kathleen! I have a tremendous amount of respect for Kathleen Monroe and whole heartedly recommend Kathleen for your house selling and buying needs. Kathleen, there are no words to thank you enough for all you did for me and my family!! Keep that beautiful smile on your face at all times and keep making a positive difference in people lives like you did for us!!!! We are so grateful we had Kathleen represent us as our buyer agent and seller agent in a very complicated transaction. We were under pressure to get our home under contract within 20 days and she was able to seal the deal! Kathleen is very professional and proved her high level of commitment. She staged our home and even helped us prep prior to a showing and/or open house. She is very punctual and you will find her personality welcoming. She ensures everyone involved in the transaction are treated fairly and she is extremely ethical. She will keep you abreast of any progress during the sale of your property and promptly responds to any questions or concerns you may have. You will not be disappointed with Kathleen! Bought and sold a Single Family home in 2018 in Coto De Caza, CA. Sold a Townhouse home in 2018 in Township Village, Mission Viejo, CA. Kathleen did an exceptional job with representing us as the seller on our condo in Ladera Ranch. She was always accessible and was very knowledgeable in all areas of the real estate transaction. We highly recommend her as your real estate agent! Kathleen was the best Real Estate agent I have ever had. She helped us from Purchasing the property, getting our loan and managing our property with rental. She know the market very well. Also, She managed our property professionally by found the family that would appreciated the value of our property in a short period of time. I really enjoyed doing business with Kathleen. She was very knowledgeable, very supportive and super friendly agent. I will very highly recommend Kathleen to anyone who is still looking for a real estate agent. Sold a Multi Family home in 2018 in Aliso Viejo, CA.